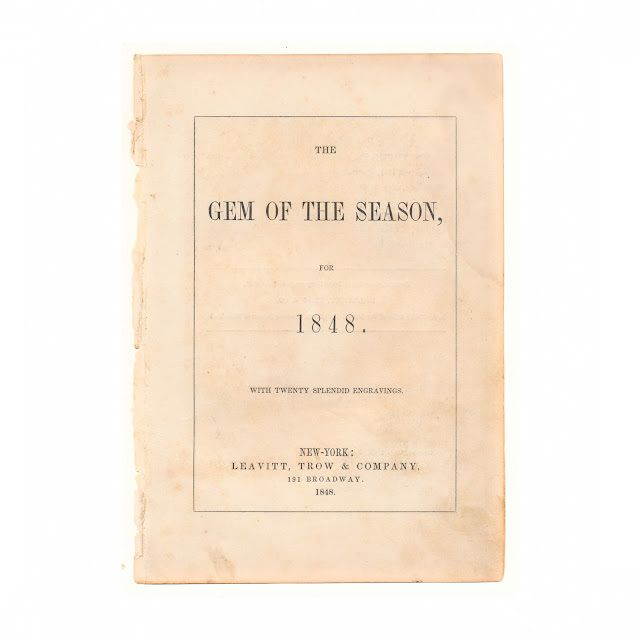 This antique print comes from 1848 book "The Gem of the Season." It was published by Leavitt, Trow and Company of New York. The print is one of twenty mezzotint engravings done by John Sartain, and measures 5.5 x 8.25 inches. 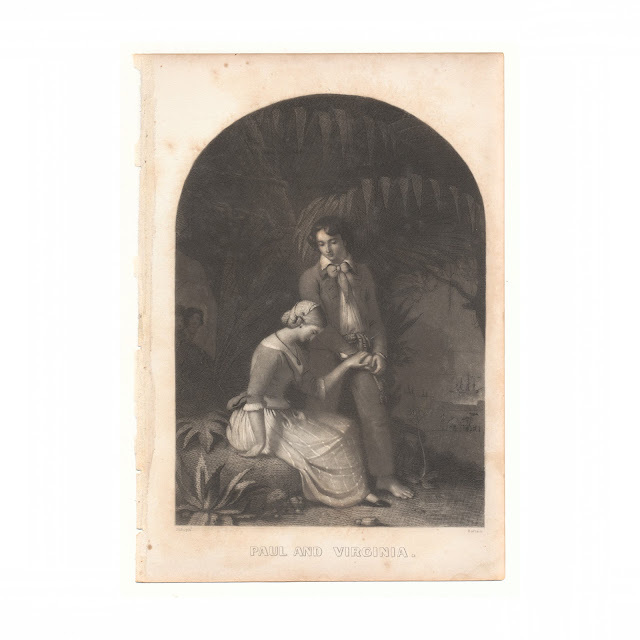 The print for sale in this listing is titled "Paul and Virginia," from a painting by Schopin. There is some soil and foxing. Some wear to edges. Title page is shown for reference purposes and is not included with the sale.